What follows is taken from the reflections of Lee Hogan, CSJ, as she welcomed all to the celebration of Jean’s Initial Commitment. 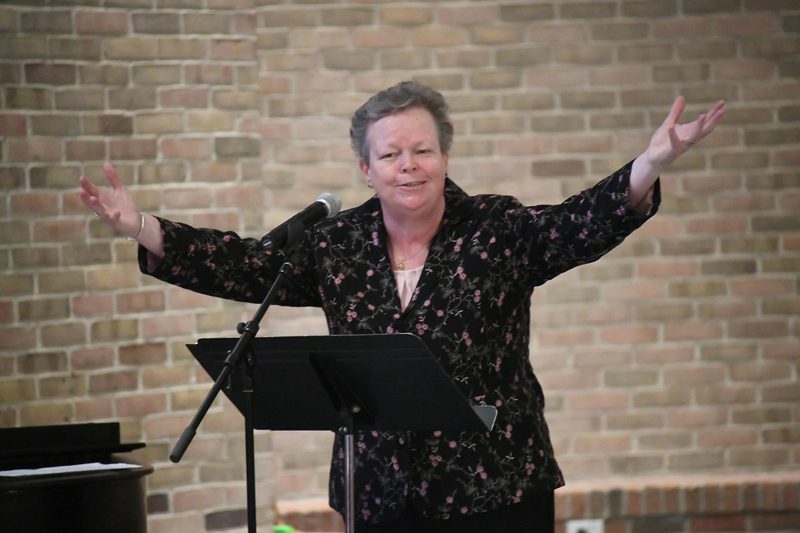 Good morning all, and welcome to this very special day for the Sisters of St. Joseph as we celebrate the initial commitment of Jean McKinney. A warm welcome to Jean’s family, her wonderfully large family from near and far, who have joined us today. 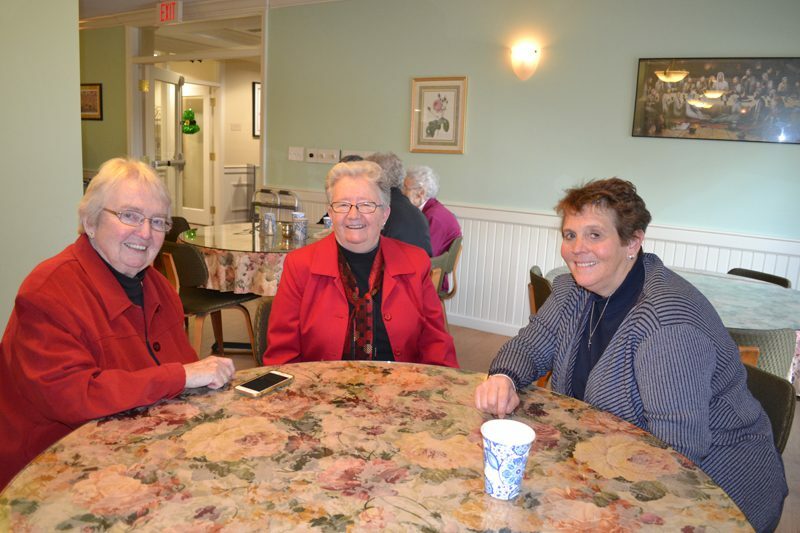 Welcome also to Jean’s special guests including friends from the CSSJ Federation Novitiate Program in Concordia, and friends from the Intercommunity Formation programs of the Boston area and beyond. Welcome also to all here in the Chapel, sisters, associates, and friends; as well as our viewing audience watching this via video streaming. 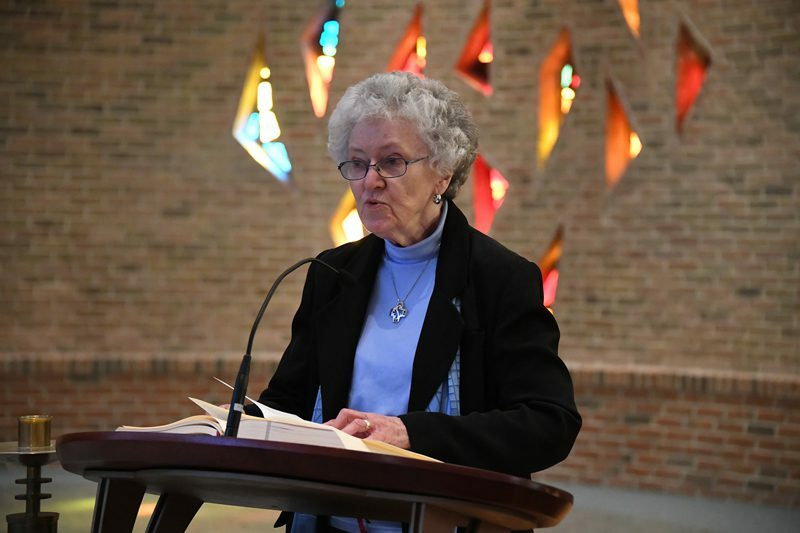 We, all of us, are here today as witnesses – witnesses to this new moment in Jean’s life-journey as she makes her initial commitment of vows to God to live as a Sister of St. Joseph of Boston. As our CSJ Constitution notes, Jean does this in response to the call she has received from God for a radical following of Christ. She makes this profession of public vows of chastity, poverty, and obedience before the church and the world. 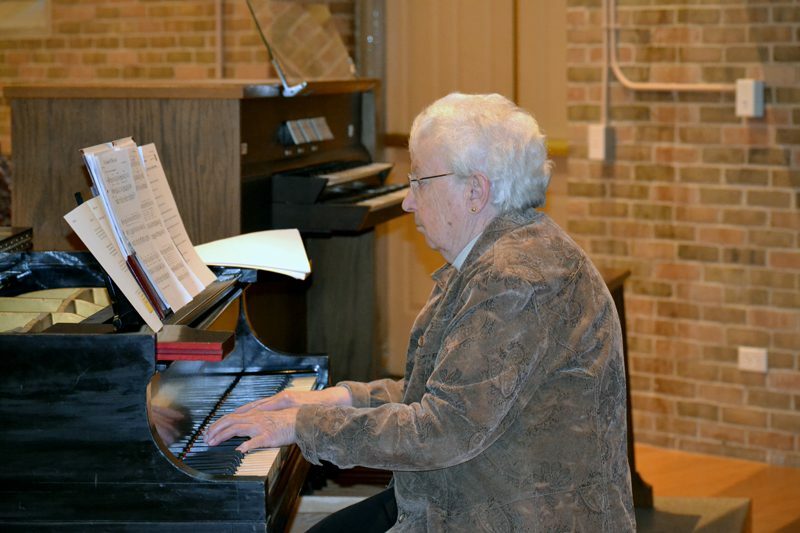 We who are gathered here are the church and the world – witnesses to Jean’s public commitment. So, today is the day that the Lord has made. Let us be glad and rejoice! Let us all joyfully celebrate this significant moment for the Sisters of St. Joseph, the Church, the world, and most especially for Jean! 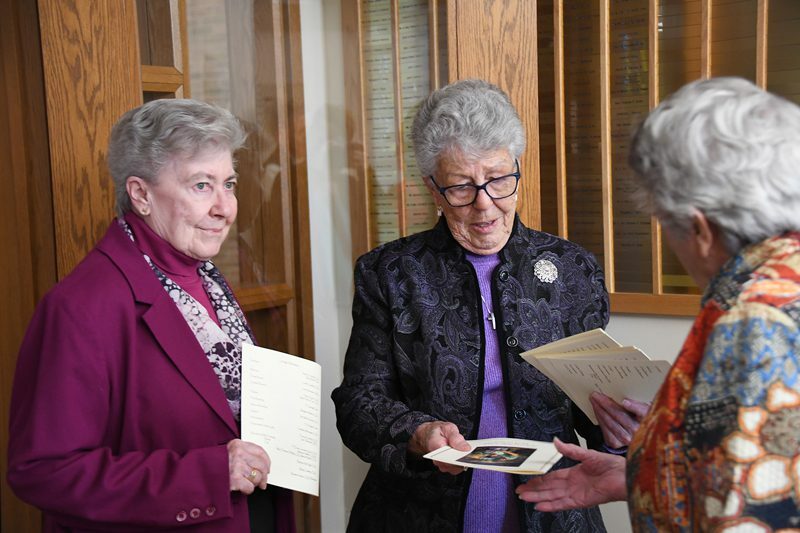 Pictured: Cala lillies in memory of deceased sisters, associates, and family members; cover of liturgy program; Jean [in deep blue] is blessed by Sisters Denise Kelly, Marilyn McGoldrick, and Lee Hogan during the Initial Commitment Ritual. NOTE: A slide presentation of Jean’s commitment celebration will be available in a few days. 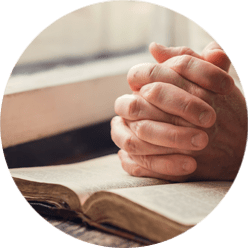 Volunteers in Mission 2019 is a time of sharing prayer, community, and service. During this week of service at St. Francis House and Casserly House, participants broaden the circle of love poured out toward every kind of neighbor without distinction. 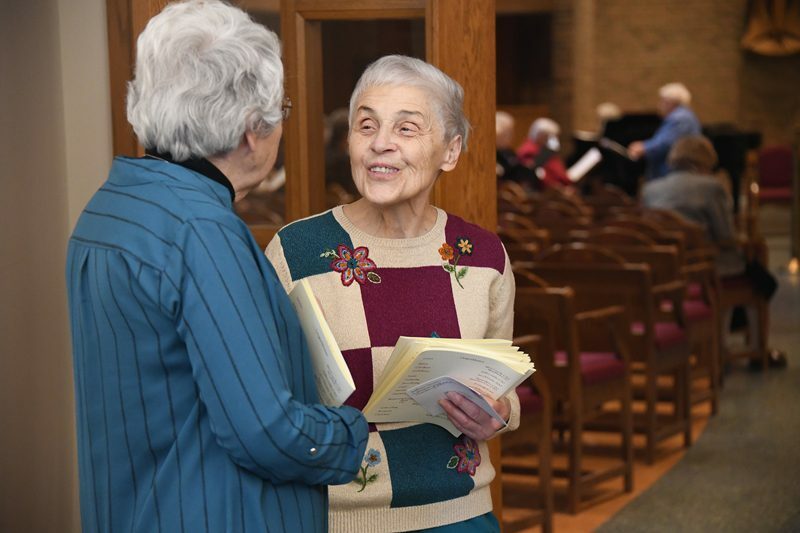 We are grateful for the hospitality of the sisters at Fontbonne Convent that enables the group to share community life with the sisters there and with one another. 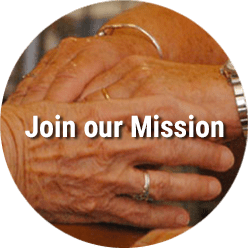 If this opportunity interests you or someone you would recommend, please contact Pat Quinn, CSJ, patricia.quinn@csjboston.org or Kathy Tighe, CSJA, (kathy.tighe@csjboston.org) by April 20, 2018. 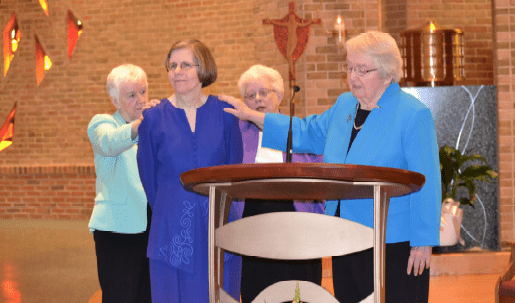 Sisters: contact Franny Wool, CSJ. 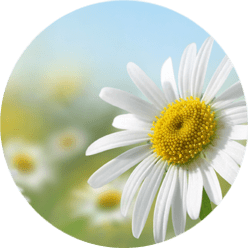 Friends, relatives, dear neighbors click here. What follows is taken from the reflections by Judith Costello, CSJ as she welcomed all to our Celebration of St. Joseph. Welcome to this sacred space in which we gather to honor our patron, Saint Joseph. 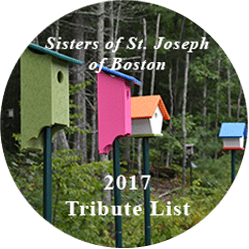 In 1650 the founding Sisters of St. Joseph, in collaboration with Father Jean Pierre Médaille, chose Joseph as patron for the Little Design. Precious little is known of Joseph. The simple references in Scripture hold few insights into his life. This much we know – that he was humble rather than self-promoting. We know that he was righteous, as described by Matthew, faithful in keeping the law and respecting custom. He responded to the Roman command for a census by returning to Bethlehem, the city of David, whose lineage he claimed. Luke also notes his fidelity as he refers to Joseph as journeying to the temple in Jerusalem every year to observe the feast of Passover. We know that he had dreams in which God guided him for the welfare of Mary and Jesus. Joseph obediently took Mary into his home, then later left his homeland and traveled into Egypt to protect the life of the infant Jesus. Perhaps the most telling reference to Joseph in Scripture is the last one, in Luke’s account of Jesus in the temple at the age of twelve. Luke writes simply that Jesus went down to Nazareth and was obedient to Joseph. The young Jesus, of Bar Mitzvah age, on the threshold of manhood, acknowledged Joseph as his father and guardian. This was, indeed, a singular tribute to Joseph. And so, today we gather to celebrate our humble, gentle, loving Patron, Joseph. Pictured: Judith Costello, CSJ, welcoming all; Joanne Solari, CSJ, greets Cathy Mossicato, CSJ. 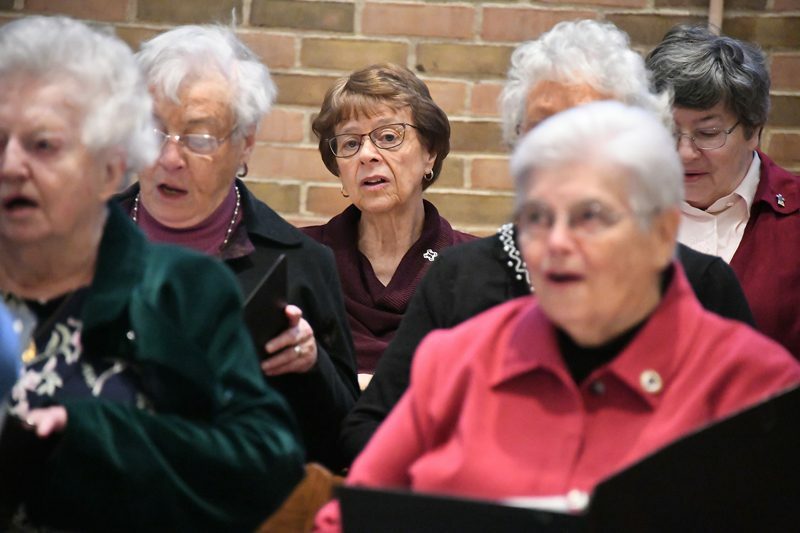 Peggy Sullivan, CSJ, and Mary Black, CSJ; Betty Cawley, CSJ, accompanies us during the liturgy; members of the CSJ Chorus lead the assembly in song; Barbara McHugh, CSJ, invites all to join in song; Helen Hickey, CSJA, and Helen Thomas Colbert, CSJ, Lee Hogan, CSJ, Mary L. Murphy, CSJ, and Jeanmarie Gribaudo, CSJ, enjoy the luncheon that followed.